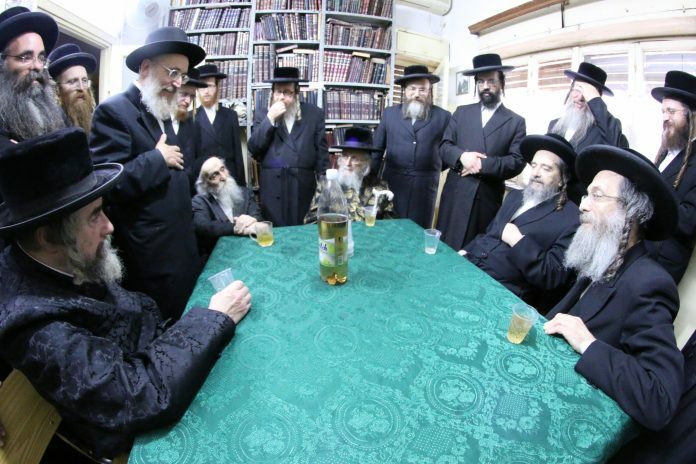 For the first time in history, five leading rabbanim — Rabbi Yitzchok Tovia Weiss, Gaved Yerushalayim, Rabbi Yaakov Meir Shechter of Breslov, Rabbi Dovid Soleveichik of Brisk, Rabbi Dovid Twersky of Rachmastrivke, and Rabbi Elimelech Biderman of Lelov — are participating in a campaign to match each box that is being donated! Oneg Shabbos V’Yom Tov has been feeding over 100,000 people annually, yet to feed those on the waiting list they must raise money for 56,000 boxes in the next 72 hours. On Sunday at noon, aleph selichos, the 72 hours will begin. Visit DonateABox.org or call 718-303-2666. Will you partner with gedolei Yisrael to ensure that every family can welcome the New Year with a light heart and full stomach? With distributions in over 42 Israeli cities, Oneg Shabbos V’Yom Tov is the largest distributor of food to the poor in the country. Although it has grown immensely with each passing year, its mission remains the same; to provide quality food in a dignified manner to the poor. Now before yom tov, when there’s simply no way to turn away so many families, Oneg Shabbos V’Yom Tov upon the urging of rabbanim, is making its first national campaign.